Rent New York City Fire Museum | Corporate Events | Wedding Locations, Event Spaces and Party Venues. 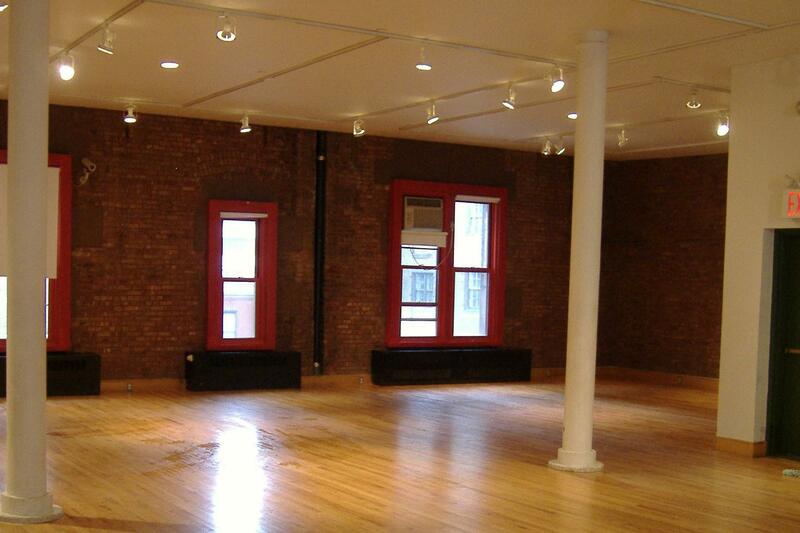 The Museum's third floor loft is the perfect place to host your next special event. The loft space features hardwood floors, 12 foot ceilings, exposed brick walls, a vast expanse of southern facing windows and an equipped kitchen. The Museum’s third floor (approximately 3,000 sq.-ft.) contains a large, flexible open space appropriate for meetings, lectures, parties and other events. Our spacious room seats up to 175 for seated dinner and 250 for standing reception. The unique space features hardwood floors, thirteen-foot ceilings, exposed brick walls a vast expanse of southern facing windows and equipped kitchen. The Museum is one of New York’s best-kept secrets causing guests to exclaim, “How did you ever find this place?” We offer affordable competitive rates, discounted rates for non-profit organizations and FDNY firefighters. Host you’re your next event here and support a great organization! Contact us today to book your special event. The cost of rental is $3,500 for eight hours (two hours to set up, five hours for your event, and one hour for clean-up). You get to choose your eight-hour time block but keep in mind the latest an event can run to is 12am and clean-up done by 1am. If your event is longer or shorter than eight hours provided the hourly fee is $450 per hour. Please keep in mind when calculating hours for rental to include time for set-up and clean-up. To book the space we do require an additional $1,000 refundable security deposit for all functions.